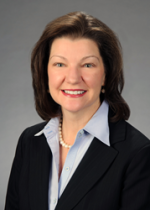 Kelly L. Neumeier is the new director of strategic intelligence for THInc, a specialty practice of Richmond, Va.-based Cherry Bekaert (FY15 net revenue of $143.8 million). In this newly created role, Neumeier will oversee THInc’s strategic intelligence and sales enablement center by monitoring and analyzing industry innovation trends, client research data and other market information for sales, marketing, strategy and product planning purposes, the firm announced. She will be based in Atlanta.